Enrique Iglesias, Fall Out Boy, Austin Mahone, Dax Shepard, Darren Criss, Kevin Jonas, Nikki Reed, Chloe Bennet and Jennette McCurdy were among the celebs who joined host Nick Cannon in honoring four extraordinary teens at the fifth annual TeenNick HALO Awards, Sunday, Nov. 17, at 8 – 9:30 p.m. (ET/tape delayed for the west coast) on Nick at Nite. Nick Cannon honors extraordinary teens at fifth annual TeenNick HALO Awards. 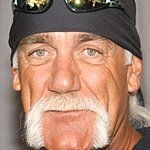 Conceived, hosted and executive-produced by Cannon, the TeenNick HALO Awards were broadcast live for the first time ever from the Hollywood Palladium in Los Angeles, Calif., and celebrated real teens who are “Helping and Leading Others” (HALO) and making a difference in their communities. As part of Nickelodeon’s ongoing commitment to encourage young people to take action, the network announced the “HALO Effect,” a year-round initiative that recognizes one deserving teen every month for their work to help and lead others in the community. The “HALO Effect” will kick off January 2014 and a $5,000 grant will be awarded to a charity designated by each teen. Nominations are being accepted now and details can be found here. 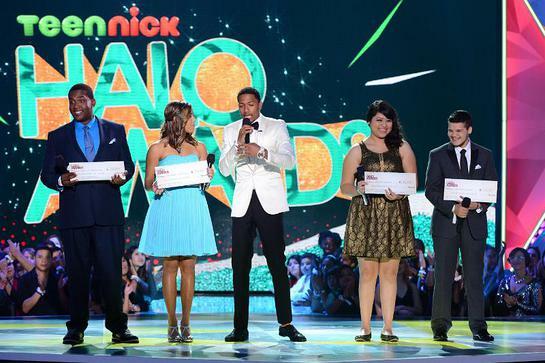 In the spirit of the awards, Nickelodeon partnered with Amigos de los Rios, Boys & Girls Clubs of America and Key Club International in the Los Angeles area to reward their star volunteers with the opportunity to be part of the TeenNick HALO Awards. The audience was comprised of kids who earned a ticket by participated in at least three hours of community service. Fall Out Boy kicked off the awards ceremony with “Alone Together,” while Mahone had the audience singing along to a medley of “What About Love” and new single “Banga! Banga!” In a show-stopping performance, Iglesias closed the night with “Heart Attack.” Celebrities in attendance also visited the “HALO Hive,” an interactive social media lounge hosted by iJustine, to encourage viewers to tweet with #HALOawards and Instagram pics to share how they help and lead others in their own communities. Previously announced HALO Award honorees – Miranda Fuentes, Zachary Kerr, Rocio Ortega and Denzel Thompson – were awarded scholarship funds at the awards ceremony. They previously received a grant for their charity and were given an once-in-a-lifetime opportunity to meet and connect with a mega-celebrity who shares a similar passion for their cause. Their celebrity matches are Shay Mitchell, Josh Hutcherson, Chris Paul and Queen Latifah, respectively, and their taped segments were featured in the show. The TeenNick HALO Awards dedicated site features profiles of the honorees, and photos of celebrity hosts, presenters and musical performers, in addition to enlisting teens across the country to show how they “HALO.” On the night of the event, TeenNick.com offered viewers an immersive, enhanced viewing of the live show with real-time orange carpet coverage, show highlight clips and exclusive behind-the-scenes pics and videos. Starting Nov. 18, TeenNick.com will have even more exclusive goodies including a post-show wrap-up video and blog recap, celebrity interviews and GIFs on the orange carpet, plus the honorees’ most memorable moments. The 2013 TeenNick HALO Awards can be viewed on the site in its entirety beginning Nov. 19.